Abstract: Despite minor disagreements over a very few specific features and recognized differences between the formal and colloquial registers, “correct” or “proper” Russian was a fixed concept during the Soviet era. It was “russkij literaturnyj jazyk” (the Russian literary language) or, in the terminology of American Slavists, “Contemporary Standard Russian” (CSR). Here I argue that the post-Soviet Russian of educated speakers is evolving into a “negative dialect,” a term coined by Millward (1988) to describe General American. A negative dialect is characterized not so much by the specific features that it has but by the identifiably regional or nonnormative ones that it lacks. However, because it permits a greater degree of internal variation than strict prescriptivist models, it often stigmatizes major norm violations even more than a traditional standard language. I call this emerging dialect “Educated Mainstream Russian” and make my case for it by comparing and contrasting developments in émigré-Russian versus mainstream-Russian lexicon, semantics, phonology, prosody, morphology and syntax. 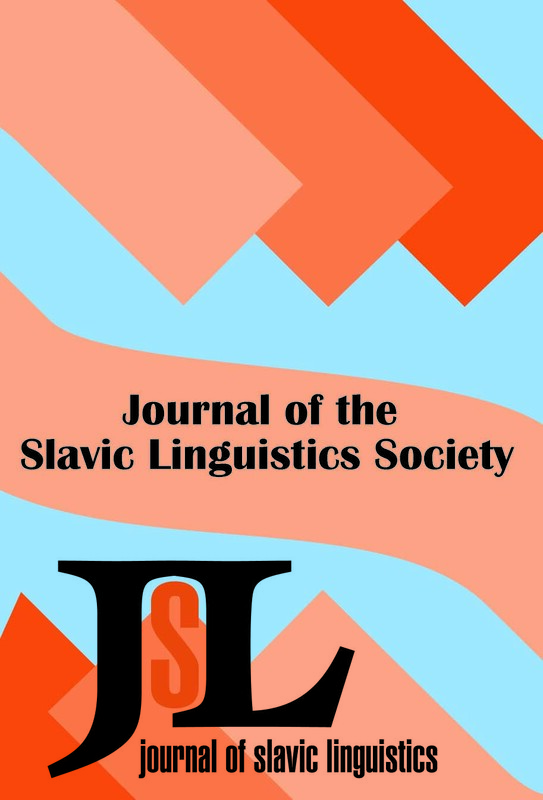 Abstract: This paper has two main goals: (i) to provide a description of the language of incomplete learners of Russian living in the U.S. and (ii) to identify across-the-board differences between a full language and an incompletely learned language. Most data used here come from American Russian, a reduced and reanalyzed version of Russian spoken in the U.S. by those speakers who became English-dominant in childhood. Incomplete acquirers of Russian demonstrate significant intra-group variation, which corresponds to similar variation found among incomplete learners of other languages. However, there are a number of structural properties that are shared by American Russian speakers regardless of their proficiency level and that distinguish their language from the baseline variety of Russian. American Russian therefore cannot be defined solely on geographical grounds; it differs significantly from varieties of Russian spoken by subjects who maintain language competence appropriate to uninterrupted acquisition. The paper also demonstrates a correlation between vocabulary deficiency and gaps in the grammar of American Russian. Such a correlation suggests a compact method of estimating incomplete acquirers’ proficiency based on a concise lexical test. Abstract: This study focuses on the analysis of bare forms that are discussed in terms of composite code-switching, i.e., code-switching that involves convergence at one or more levels of abstract lexical structure. The analysis of the young immigrants’ free production indicates that Russian is the Matrix Language that sets the grammatical frame, whereas English is responsible for supplying some of the content and early system morphemes. The study shows that all major speech categories that participate in code-switching may be used as bare forms. The mechanism that underlies the formation of bare forms is hypothesized to be the same for nouns, verbs, and adjectives. Abstract: The paper considers genitive marking in subjects and objects in Finland Russian. Finnish interference in the speech of Finland Russians is shown to favor patterns common to Finland Russian and Standard Russian and to promote the retention and quantitative extension of marked shared patterns in the subordinate language. Interference affecting qualitative change in subordinate-language patterns is also discussed.